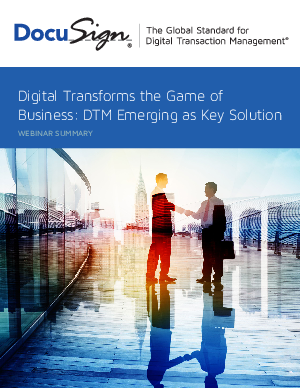 Download the complimentary copy of the Forrester study to learn about the competitive impact of going digital by implementing a Digital Transaction Management (DTM) solution. 400 business leaders from around the world weighed in. All with responsibilities for document-intensive business processes and selecting and managing transactional technologies. This study reveals what’s keeping them up at night. Get your complimentary copy of the study.